WASHINGTON Americans stepped up borrowing in January to buy cars and attend school, while staying cautious about using their credit cards. Consumer borrowing rose $16.2 billion in January from December to a total of $2.8 trillion, the Federal Reserve said Thursday. That's the highest level on record. A category that covers student loans and auto loans grew $16 billion following an $18.3 billion gain in December. Consumers barely increased credit card debt in January, when Social Security taxes rose and lowered take-home pay for most workers. 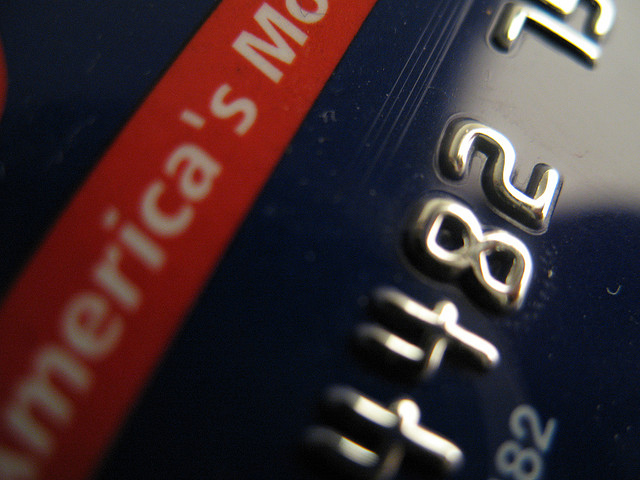 A measure of credit card debt grew only $106.1 million after a $3.2 billion drop in December. Credit card debt remains 17.2 percent below the peak set in June 2008. Analysts suspect consumers will stay cautious with their plastic this year, largely because of the tax increase. The tax increase will leave a person earning $50,000 with about $1,000 less to spend in 2013. A household with two high-paid workers will have up to $4,500 less. Still, other factors could offset the rise in taxes. The job market has improved and pay is slowing increasing for many workers. The economy created 200,000 jobs a month from November through January, up from 150,000 in the previous three months. On Friday, the government will issue the February jobs report. Analyst forecast that employers added 152,000 jobs last month, although recent data suggest hiring may have been stronger. The stock market has also surged this year, pushing the Dow Jones industrial average this week to a record high. And a housing recovery has help lift home prices. A separate Fed report Thursday showed Americans have regained the wealth they lost to the Great Recession and are increasingly taking on more debt. Household wealth increased to $66.1 trillion in the October-December quarter, the report noted. That's about 98 percent of the pre-recession peak. Household debt rose 2.4 percent, the sharpest gain in nearly five years. The increases in stock and home prices since then mean Americans' net worth has since topped the pre-recession peak of $67.4 trillion, private economists say. Wealth had bottomed at $51.4 trillion in early 2009. Household wealth, or net worth, reflects the value of assets like homes, stocks and bank accounts minus debts like mortgages and credit cards.